You did it! You finished Nursing school and now you are ready to take the big test — but how long should you study for the NCLEX-RN? I recommended registering to take the NCLEX-RN immediately after graduating because the information is still fresh in your head. The longer you put it off the more difficult it will be to get back into study mode. Definitely give yourself a much needed breather after graduating but then get right back into the swing of things. It often takes a few weeks to months to get a date for when you will sit for the NCLEX-RN, and that is usually enough time to prepare and study for your exam. The amount of time it will take to study for the NCLEX-RN will vary from person to person. Everyone has different study habits and commitments in their life to work around. I would recommend setting aside two months to comfortably study for the NCLEX. This would include daily practice questions and mock test scenarios. I do not recommend cramming all of your study time into a week, it will only lead to test anxiety. Set up a study schedule and system that will work for you. For some that means taking an intensive study course but for others it is more self study with books and online prep courses. Know what fits with your study style and your budget. Time should be scheduled daily or several times a week to practice NCLEX RN test questions. The more practice questions that you do, the more confident you will feel when you take the exam. If NCLEX-RN questions are part of your daily routine it will eliminate last minute cramming that will just add to your stress. Remember: you do not need to remember every detail from nursing school in order to pass the NCLEX-RN. 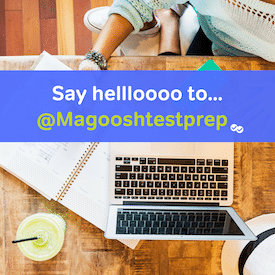 What you do need to know is how to answer the questions, so take time to use practice test questions and mock test scenarios. If you are setting aside a few hours a day then a month or two is a realistic time frame to study for the NCLEX-RN. If you set aside six months to study, it might be too much time and you could make yourself a little crazy. Remember, you can always take the exam again if you don’t pass the first time. Your nursing school experience should have prepared you with the basic information you need to take the NCLEX-RN. Passing the exam will demonstrate you can apply what you have learned. Allow yourself time to study how to answer the NCLEX RN questions so that you feel confident and prepared when your exam day arrives.